LAS VEGAS BABE! THE RETURN TO OUR VERY FAVOURITE SPOT IN LAS VEGAS! RETURN TO EUROPE – SKIING IN ZAKOPANE! RETURN TO EUROPE – TIME TO VISIT ZAKOPANE! We have beautiful memories from our last trip to Europe. We had visited Poland, Czech Republic and Germany and were positively surprised how wonderful and friendly they are. Lately we met one folk singer from Poland, that showed us her music. She practiced traditional polish folk music that people usually performe in southern Poland. We became very interested in this kind of music and decided to explore it by ourselves. Now it was the time to visit Zakopane! As we were planning to go to Slovakia anyway, we organized the trip, that included south Poland and Slovakia as well. We went there with our singer friend Julia. Her home town is Krakow and she has been performing in a polish folk band in Zakopane. We stayed in her hose for more than a week and spent extremely lovely time with all of her familly. They were unbelievably hospitable and were very interested in our music as well. Together with Julia, we went to many evening concerts in Cracow and met a lot of musicians. The place we reccomend the most is Strefa, where you can hear folk musicians from around the world. We exchanged with them our musical ideas and as a result we decided to record new singles inpired by polish folk music. We were extremely happy to visit Zakopane. After this amazing week it was the time for the mountain trip! We mixed our plan of travelling to Slovakia with the plan to visit Zakopane, witch is near Slovakian border. 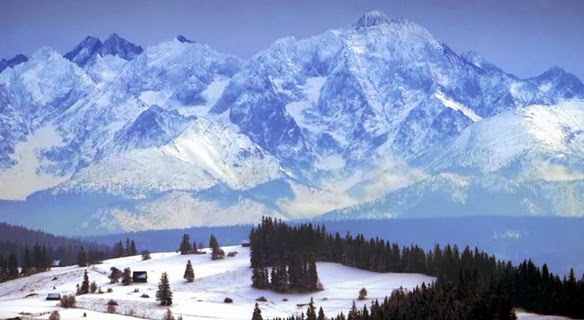 We booked a guided tour with KrakowDirect and spend amazing day in Zakopane. As it was winter time, we defenitely had to try skiing! In fact, it was our purpouse from the beggining of the trip. We were very excited and a little bit scared, as we had never skied before. Julia was trying her best to show us how to do this and we have to admit that we did it quite good! After skiing we were exhausted but happy to have a new experience in our live. Next stop was Slovakia. The Tatra Mountains have their peaks in Polnad and Slovakia so we wanted to see it from both sides. We have to admit, that the slovakian part was much more impressive but we would never have courage to go skiing there. Well, at least for now! Our skiing adventure in Zakopane was unforgettable. It is not really popular sport in US so we were surprised how polish and slovakian people enjoy this discipline. We are also really greatlful to Julia and her family for the chance to visit Zakopane. 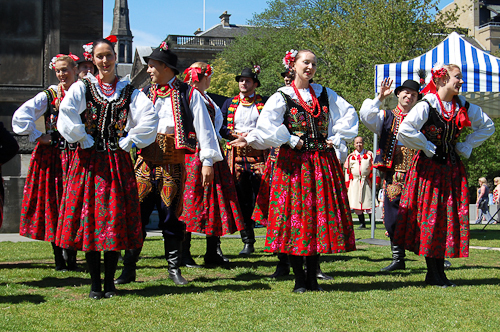 Since then we love folk music world in Poland – we have a lot of inspirations now.